Cloud Computing in Home Care Scenarios is based on real-world scenarios to analyze the opportunities and risks, as well as the practicality of such systems. With cloud computing, in information technology there is a current trend, which also opens up areas and industries that still have the networking of computer systems with lot of potential. This also includes the medical and healthcare industry, especially the patient care at home. First, the fundamentals of the subject are explained, particularly that of cloud computing. This is followed by the determination of the conditions for the various scenarios, which are then analyzed individually. Finally, the evaluation is done using an evaluation matrix, which is based on the cost-benefit analysis. The following is an excursus on the techniques that are needed in addition to cloud computing to realize the scenarios. In the final analysis, the essential aspects of the case study are summarized again and gives a brief outlook on the topic – Cloud Computing in Home Care Scenarios. Cloud Computing follows the approach of using IT resources dynamically adapted to the needs of over networks to provide. This dynamic adjustment is via the pooling of IT resources, only the actually utilized by user services are billed. The U.S. standardization body NIST (National Institute of Standards and Technology) describes cloud computing as a model for the simple network access to a shared pool of configurable computing resources (e.g. servers, storage, networks, services and applications), which can be deployed quickly and without any interaction of a cloud provider and released. On-demand self-service: a user of a cloud service without interaction of the cloud provider’s provisioning of IT resources (e.g. storage, processing power) control. Broad network access: Cloud services are available on standard technologies on the network and are not on platforms (e.g. smartphones, workstations). Resource pooling: The provider of cloud computing provide the resources from a pool from which the user can use. However, the user need not to know where to find these resources, but they can contractually specify the location. Rapid elasticity: The cloud services can be dynamically deployed and release. From a consumer perspective, the IT resources seem to be unlimited. Measured Services: The IT resource utilization is monitored fully automated, controlled and dynamically made ? ?available to the users. Only the resources used are charged. Cloud Computing is technically distinguished between three different levels of cloud models. All three models have a common part that is the IT services which are provided as services (“as a service”). At the highest level, the infrastructure (Infrastructure as a Service) is located. A level above is practically the Developer Platform (Platform as a Service). The lowest level includes applications for the end users (software as a service). Cloud Computing Service Models has been discussed in details before and will not be discussed within this case study. A clear definition of home care does not exist today in many countries across the globe. However, under Home care, often it is understood the care and the supervision of care by basically healthy people. But, rather Homecare is the home therapy and the associated medically prescribed services that are funded by the health insurance in most industrialized countries. Medical advances in recent years makes it possible hospital treatment, which could only be done previously in stationary fashion, now also can be performed at home and thus increase the quality of life of patients and decreases the risk of hospital acquired infections. Home care includes the care of a patient at home with the aid of medical products, surgical dressings and drugs. The focus thus is not the pure product supply but also the service, in particular the support, advice and training which is available to the patient and delivered by a qualified personnel. It can be taken as an extension of a medically prescribed outpatient therapy. In this section, the evaluation method of scenarios will be described and defined. The method used is based on the cost-benefit analysis of other models, which were described dating back to 1976 for the first time in Germany. The cost-benefit analysis is defined as follows: Cost-benefit analysis is the analysis of a set of complex alternatives with the purpose to arrange the elements of this set according to the preferences of the decision maker with the respect to a multidimensional target system The figure of this order by specifying the utility values ?? (totals) of the available and acceptable alternatives. Basically, the cost-benefit analysis is presented to illustrate the usefulness of comparing multiple alternatives and evaluating them. First, the alternatives were selected, followed by the determination of the evaluation criteria, which are particularly relevant to find the decision in the second step. It should be noted that the categories can well distinguish from each other, so it does not overlap the ratings comes. These criterion can be divided between the top criteria and sub-criteria of each respective upper criterion. This makes it possible to consider certain aspects to evaluate separately and more closely. Once the evaluation criteria have been defined, a weight must be determined for each criterion. If subsequently the criteria between the upper and lower criteria were decided, the top criteria must receive a percentages weight, with all top criteria a total of 100% should be allocated. As the example in the second right-hand figure shows, here are five top criteria were selected, which were each divided in three to five sub-criteria. An advantage of the cost-benefit analysis is that the evaluator can assess not only to he monetary aspects, but also all other types of criteria those can be incorporated into the analysis. The clearly structured criteria results in a very transparent result, which is easy to understand. Moreover, the decision may be able include own preferences included in the assessment. However, this is again, a disadvantage of cost-benefit analysis, because it always raises a subjective view on the respective alternatives by the decision. To prevent this situation, additional evaluation methods should be carried out to a detached and neutral look at the alternatives. 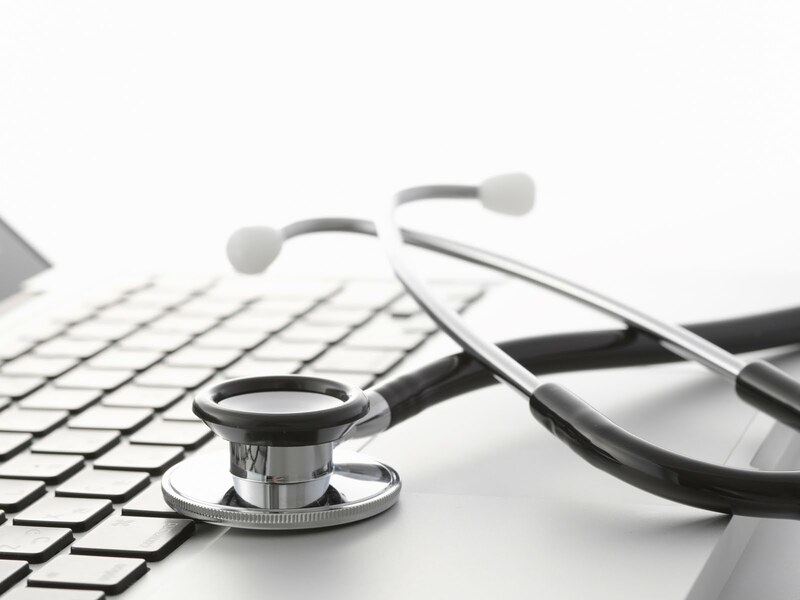 A cloud-based documentation provides many opportunities in Home Care Scenarios. With cloud-based implementation without major financial investment for IT infrastructure like servers, CDN etc. right from the start or later the model can be used. In addition to many opportunities that a Cloud Computing in Home Care Scenarios can provide, there are also some risks. Due to the outsourcing of the data to external server, we can not be one hundred percent always sure whether third parties have access to it. Due to security measures such as encryption of data, however, the risk can be reduced. Personal data will be better protected. The more complex the encryption methods, more reliably the data is encrypted. Also is often not known whether possibly even employees of the cloud provider itself can have access to core data. This can probably pose the greatest risk, as they can easily access their own server as third persons. Especially from this aspect – data encryption should never be omitted before uploading the data. This Article Has Been Shared 724 Times! Cite this article as: Abhishek Ghosh, "Cloud Computing in Home Care Scenarios : Opportunities and Risks," in The Customize Windows, October 24, 2013, April 25, 2019, https://thecustomizewindows.com/2013/10/cloud-computing-in-home-care-scenarios-opportunities-and-risks/.